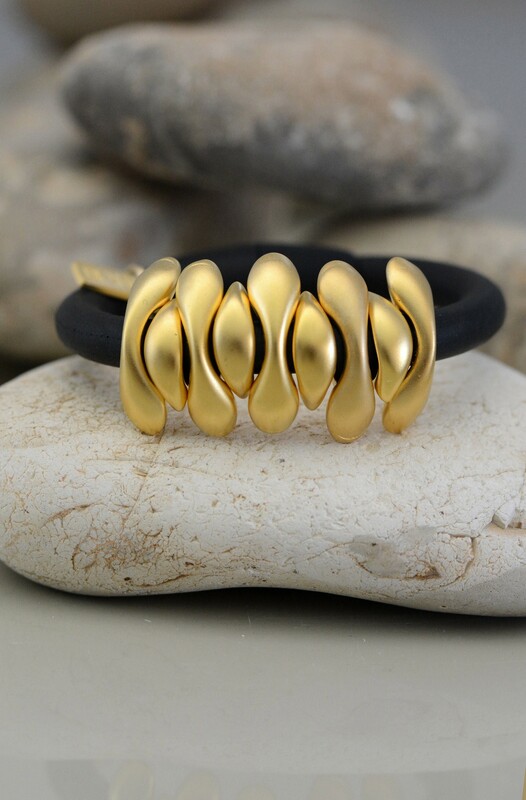 This is truly a versatile bracelet that goes with everything. 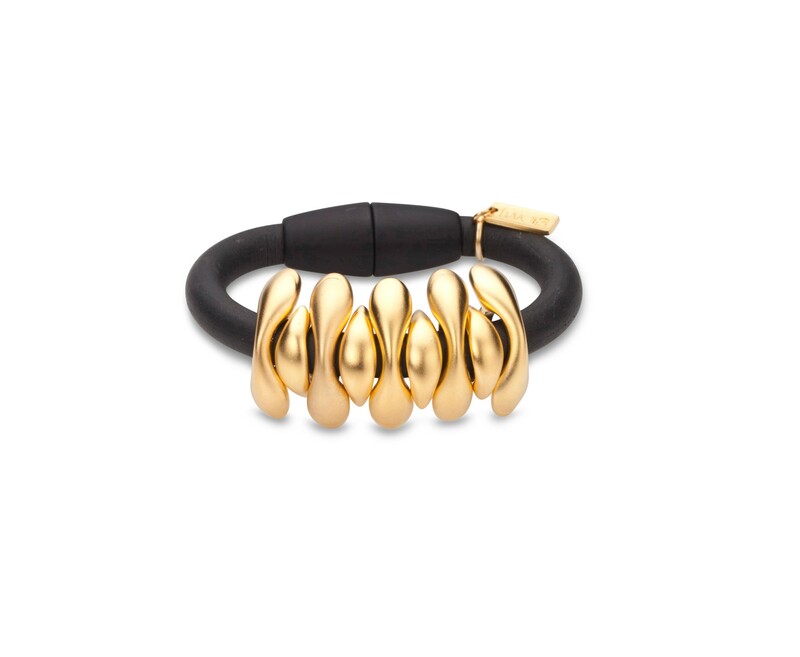 Matte gold color plated waves and a durable resin magnetic clasp make this a true standout in any collection. This versatile bracelet goes with just about everything. You can wear it with a casual t-shirt or an elegant blouse and still look great. 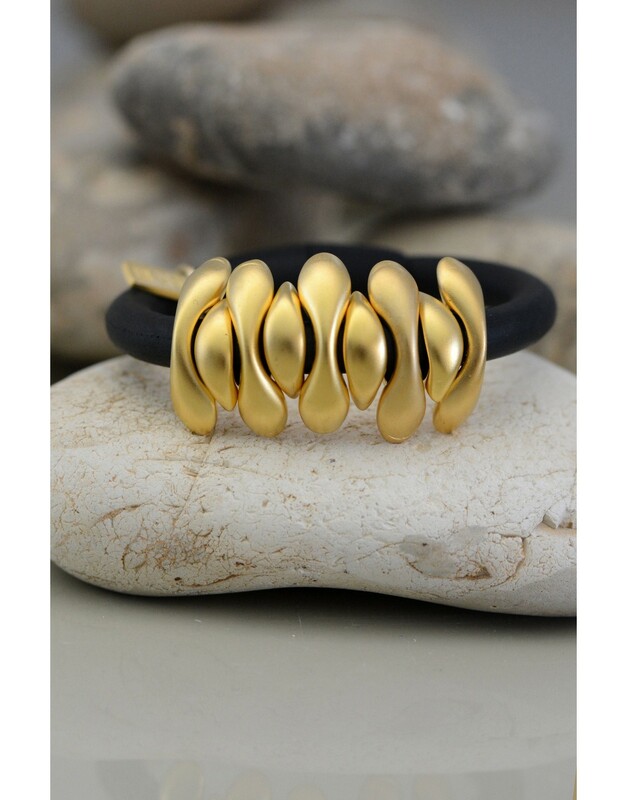 Made from black rubber and matte gold color plated metal waves, this piece is the ultimate accessory for nearly every outfit. 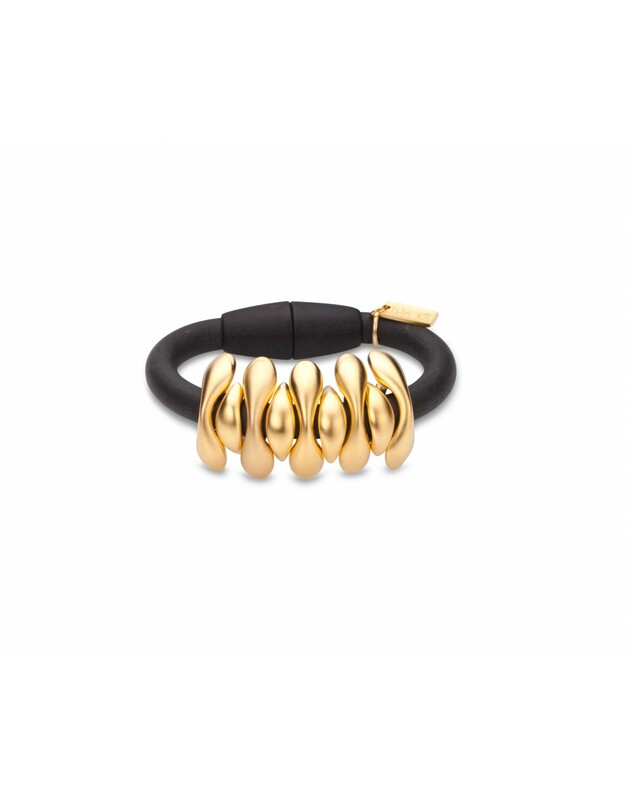 It features a durable black resin magnet clasp, making it super easy to put on and take off. It's comfortable, durable and great-looking. What else could you ask for?